Originals Stan Smith is one of the few silhouettes that can truly withstand the test of time. Just in time for summer, this new special edition “Lemon” version comes in a classic white canvas upper with sliced and whole lemons embroidered throughout—somewhat reminiscent of the OG Ice Cream footwear, which is interesting now that Pharrell is on board. Additionally, the sneaker features smooth full grain leather at the heel and tongue, citrus colored branding, and a tonal rubber outsole. 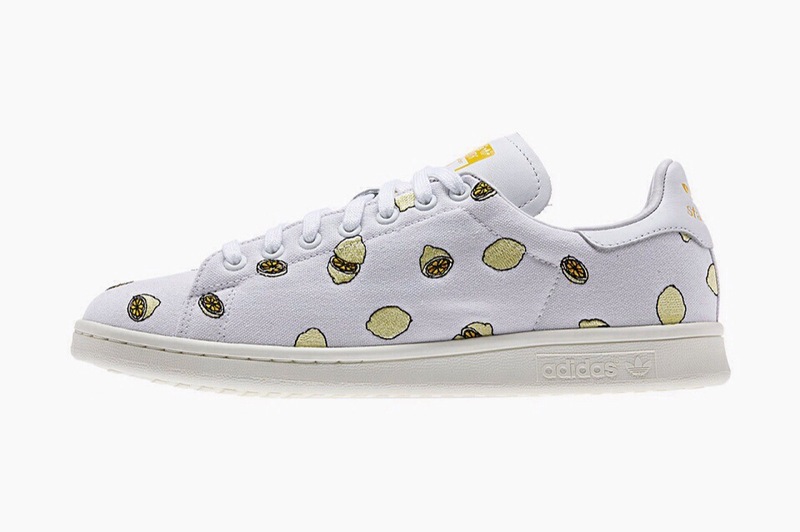 The adidas Originals Stan Smith “Lemon” is now available online. This entry was posted in adidas, Footwear, Sneakers and tagged adidas, Kicks, lemon, Sneakers, Stan Smith, Trainers. Bookmark the permalink.